The Czech Association for Effective Altruism was founded in August 2016. It currently comprises 3 employees and 30 regularly active members and about 80 members in total. As an NGO, in 2018 we operated with a budget around $110 000, sourcing mainly from CEA grants and other EA related initiatives. See our history in this article on EA Forum. Our strategy is based on comparative advantage analysis. That can be divided into two main factors: the properties of Czech Republic itself and the specific knowledge and experience of CZEA team members. The Czech environment implies low salaries in general and low income inequality (fourth in the world) as well as free higher education and cheap research. It also allow us to organize events on european level for low costs with easy travel. As a team we have a lot of experience with organizing international conferences and retreats. We are in close touch with both central EA organizations and Czech academic sphere. (Our strategy in Czech). There are active EA groups in Prague and Brno and also EA Bratislava. This school aims at effective know-how transfer between senior researchers and master and PhD students beginning with their AI Safety research. Focus of first year was “learning from humans”, including subtopics such as inverse reinforcement learning, modeling bounded rational agents and latest trends in AI alignment research. In 2018 it numbered 45 participants and lasted 4 days with 7 speakers coming from FHI, DeepMind, MIRI, CHAI and other institutions. The school is run under the auspices of the Faculty of Mathematics and Physics, Charles University and CTS,Czech Academy of Sciences. Here is an article from one of participants. This project is run by David Janku and helps students with choosing their thesis topic. It aims to helping students pick a research topic have potential to greatly improve the world. This project focuses on helping new AI safety researchers start with their research. The CZEA participated mostly on operations and programme selection. The CZEA team has been running the operations of CFAR mainline and mentorship workshops near Prague. We organize the first CFAR alumni reunion in Europe. Within this informal meeting, the past CFAR participants are invited to spend a weekend together with the idea of sharing experience and possibilities of applying rationality in their life. 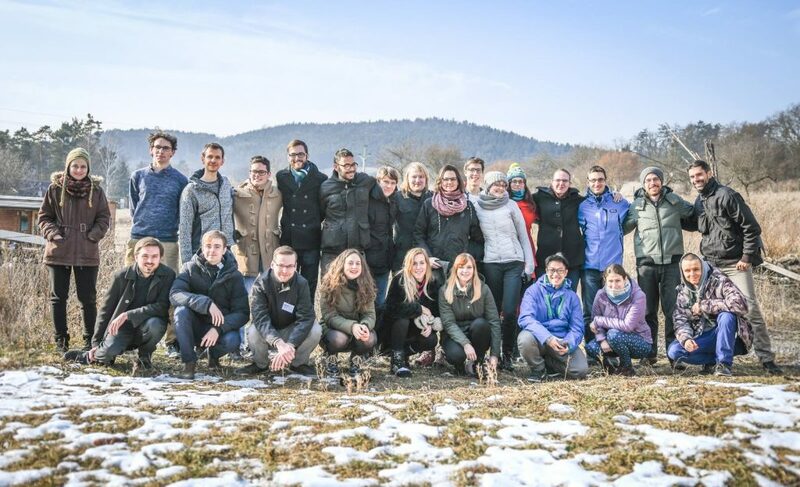 This is a weekend retreat that aims at enabling CZEA members to meet with many other Czech EAs and quickly gain knowledge and motivation for their futher work. This model has been an inspiration for several EA retreats (in Netherlands and elsewhere). First iteration was described in this article on EA Forum. Our team took care of operations for CEA Community Building Retreat in Prague, which aimed at discussing community building possibilities. In December 2018 we were invited to help out with operations for CFAR workshop for research scholars at FHI in Oxford. We organize reading groups on a regular basis, focusing on AI safety and animal welfare and we are preparing new reading groups about other topics. Besides specific events mentioned above the we are organizing regular public meetups (at least one weekly) with topics from both EA and rationality. There is strong overlap between Czech Rationality/LessWrong and EA communities. The CZEA runs a co-working space in Prague, Karlín, which is open to all current and potential members of EA community. You are kindly invited to join us on regular lectures and meetings (see bellow). Besides, this space serves as a co-working office open every day. You are most likely to meet someone here on Tuesdays and Wednesdays. More information in Czech. If you find yourself in Prague, feel free to get in touch with us to share a nice cup of tea. Adress is Peckova 15, Praha 8, 186 00. Map. The project tried to measure effectivnes of some Czech NGOs and to consult them about impact measurements. The project is currently over, however, part of the team follows by activities for another NGO Czech Priorities. The first project ever organized by CZEA aiming at kickstarting Czech EA community. In one day, 140 attendees met with 9 speakers, mostly from existing EA organizations. The recordings are available.